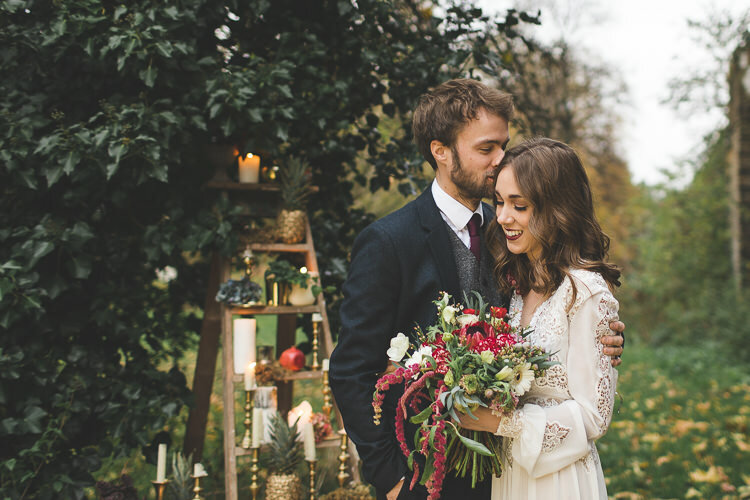 I am lost in Autumn dreams today, with these divine fine art wedding photographs by the wonderful Seyi Rochelle Photography. 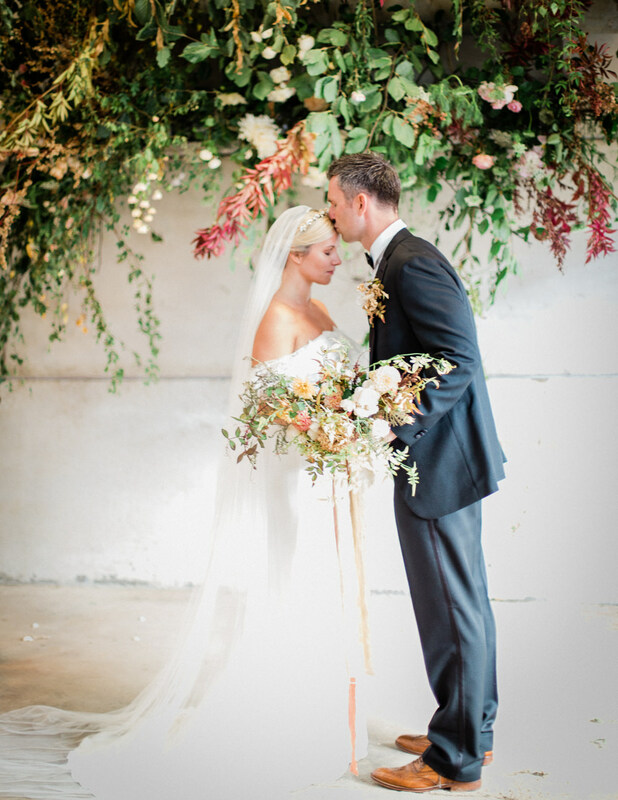 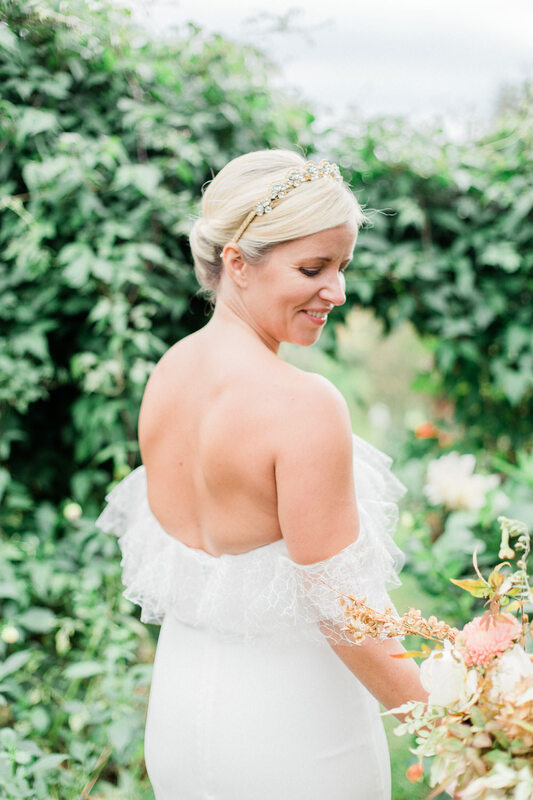 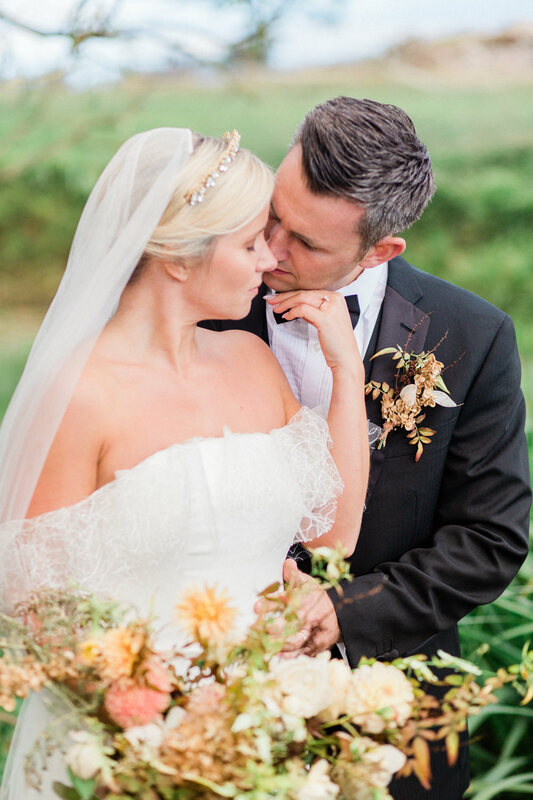 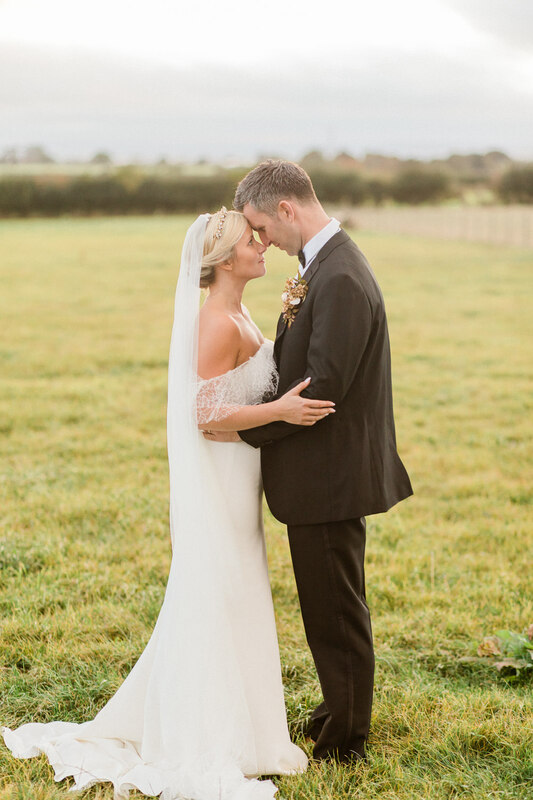 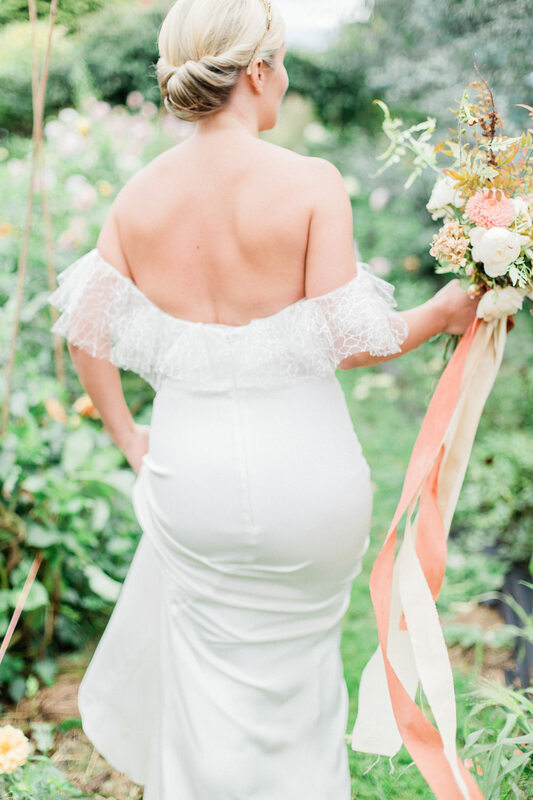 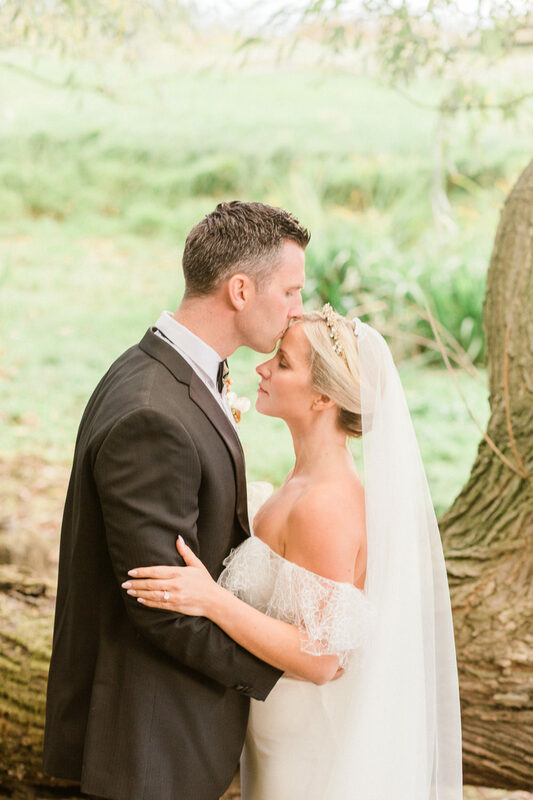 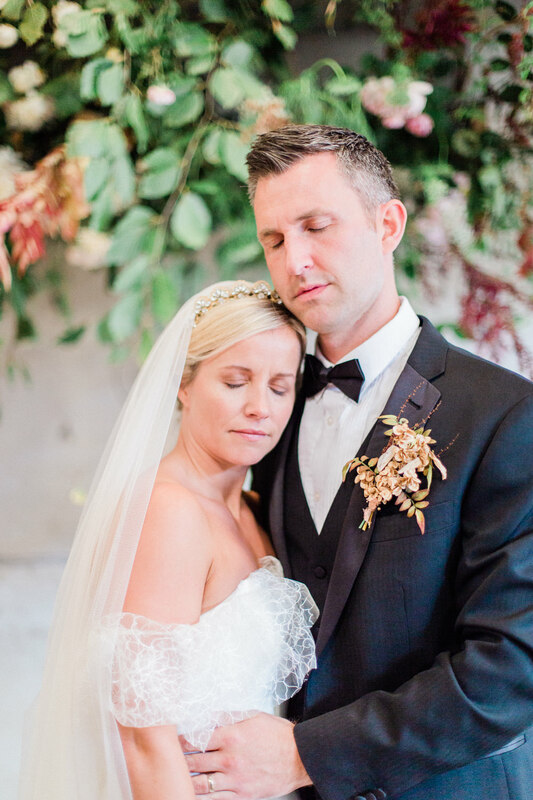 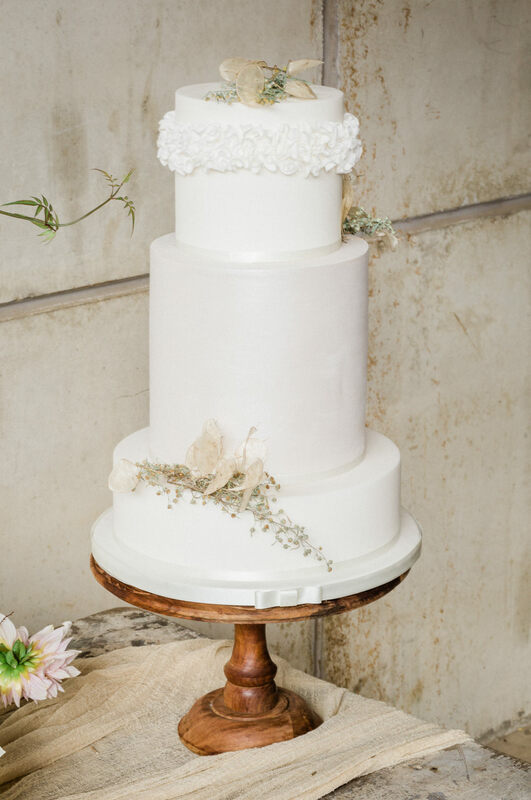 Set on a flower farm, this shoot encompasses both the rustic farmyard and the effortless glamour of the couple. 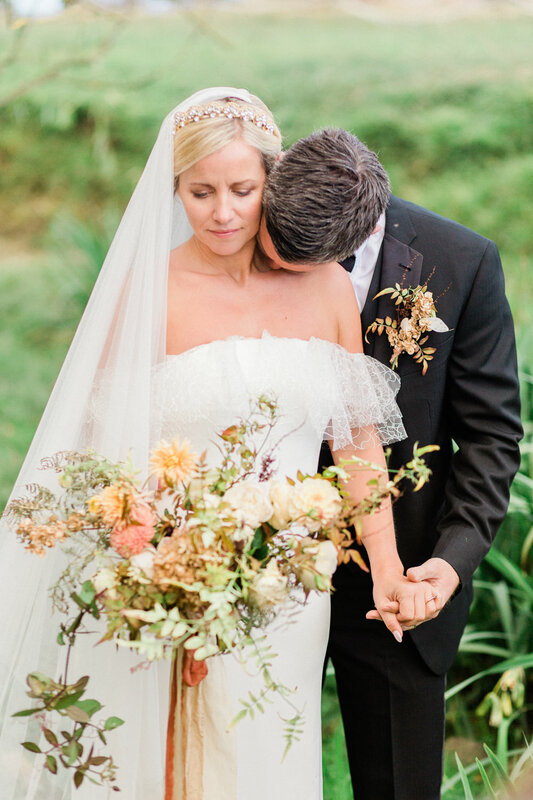 Together the editorial achieves a unique style, filled to the very brim with the most fabulous florals of course! 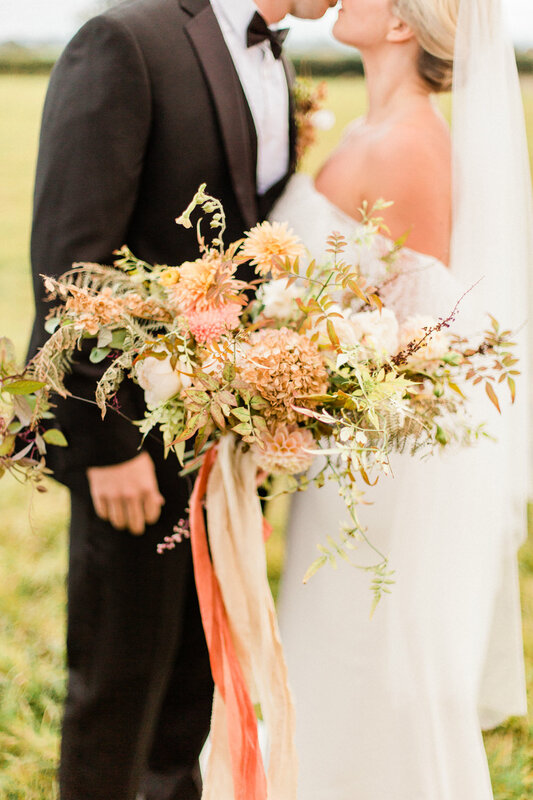 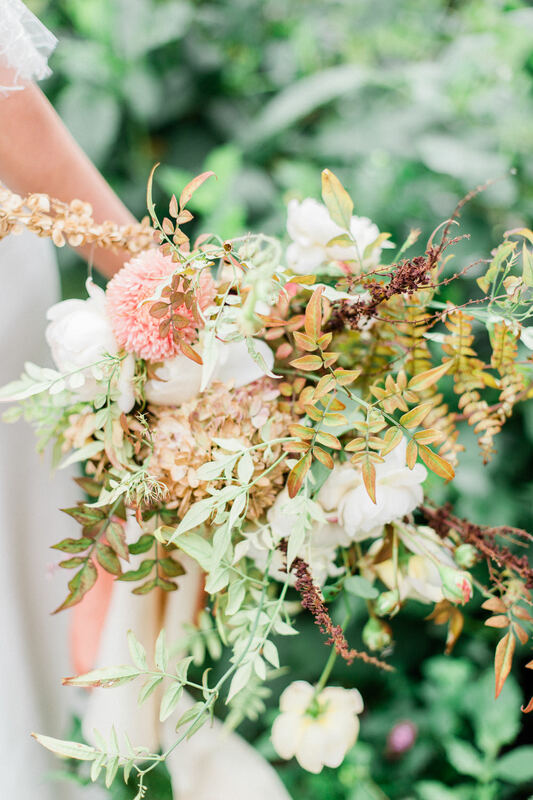 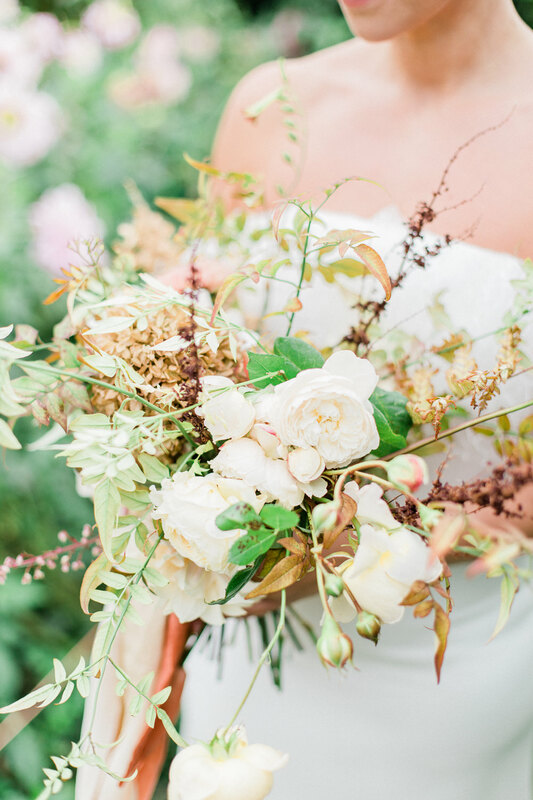 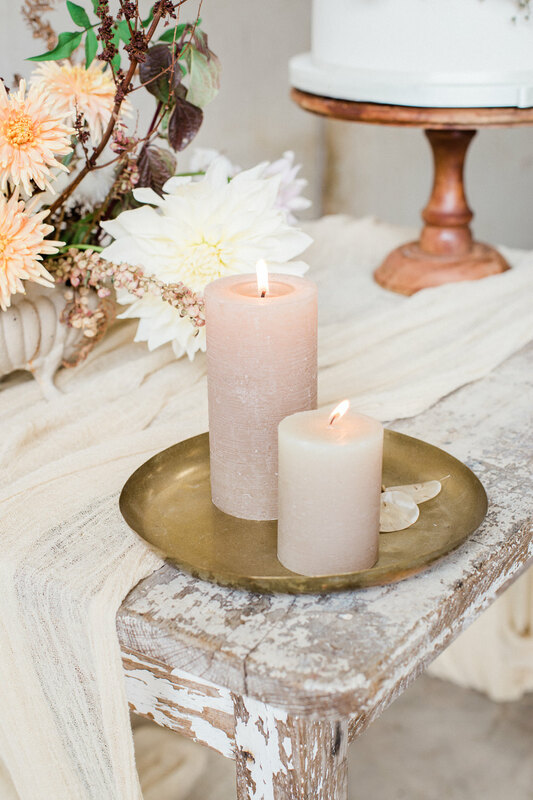 The unstructured and wild flower arrangements are in tones of apricot, peach and blush, featuring dahlias, roses and an abundance of foliage. 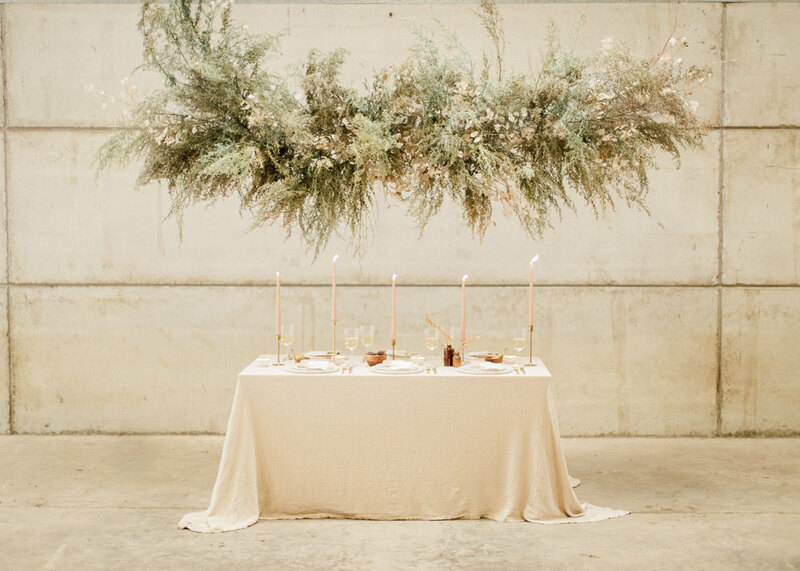 There was a statement bouquet tied with flowing fabric and a magnificent flower cloud suspended over the rustic candlelit tablescape. 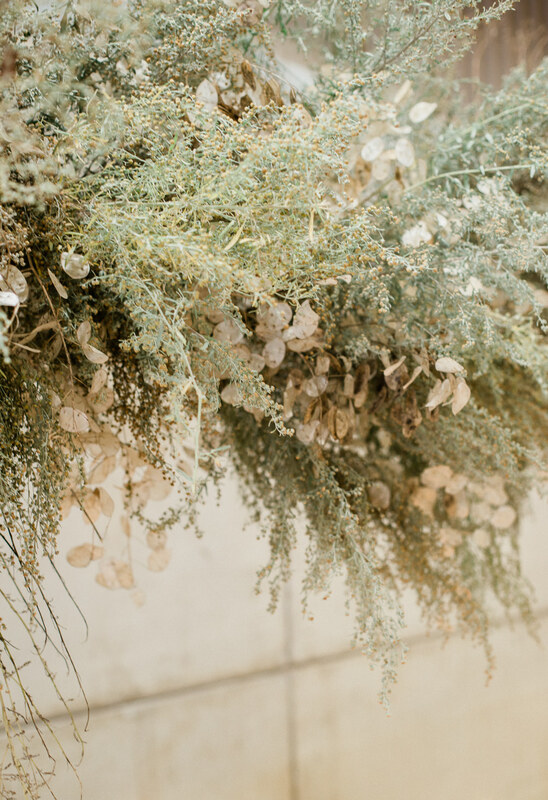 The results are just breathtaking. 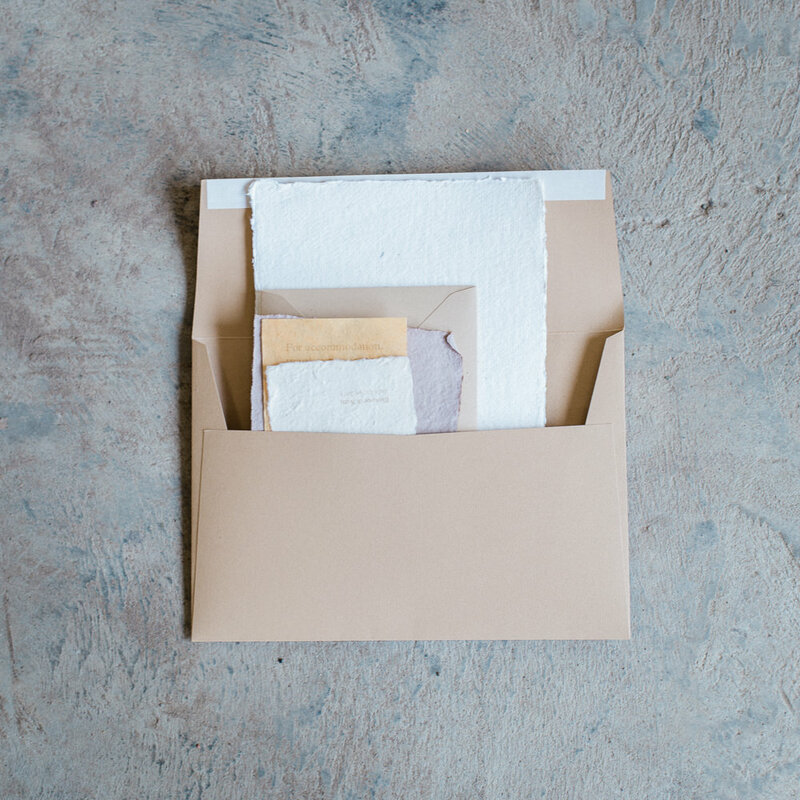 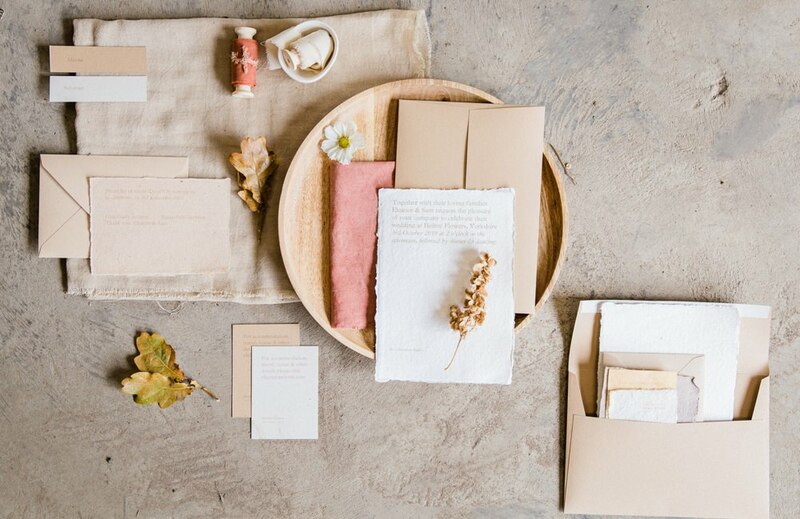 Do look out for stylish attire, an intricate cake and natural stationery, all in the most idyllic of locations. 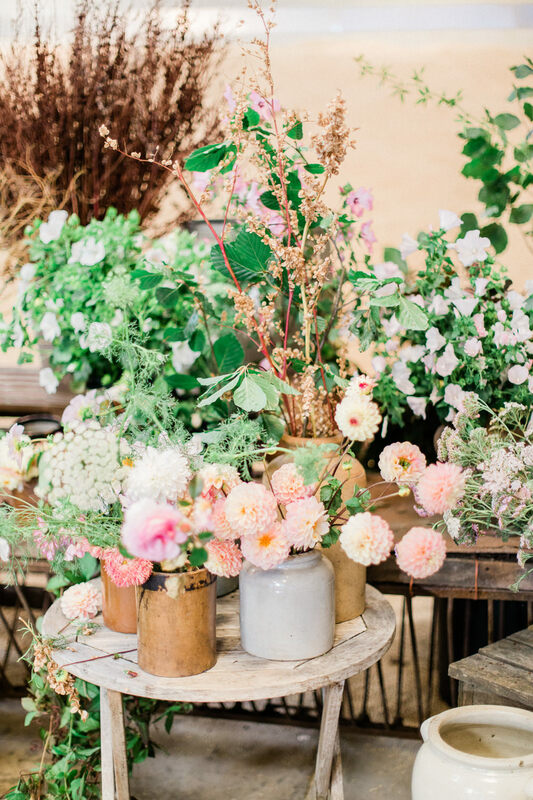 The inspiration behind this styled shoot came from the location itself; Holme Flower Farm, nestled in the North York Moors. 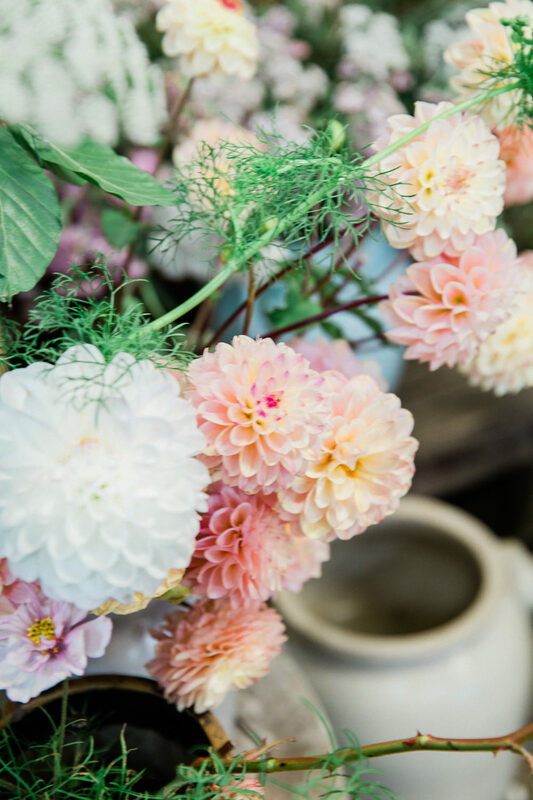 The delicious combination of roses, dahlias, and meadow blends neighbouring the chickens and sheep of the adjacent farm was the perfect collision of two worlds. 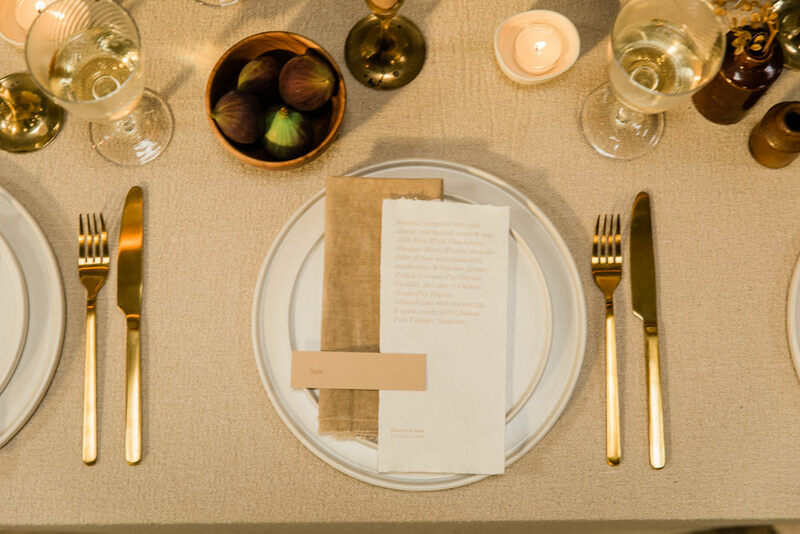 The inspiration for the farmyard glamour element was drawn from wooden features and organic textures juxtaposed against metallic accents and luxury fabrics. 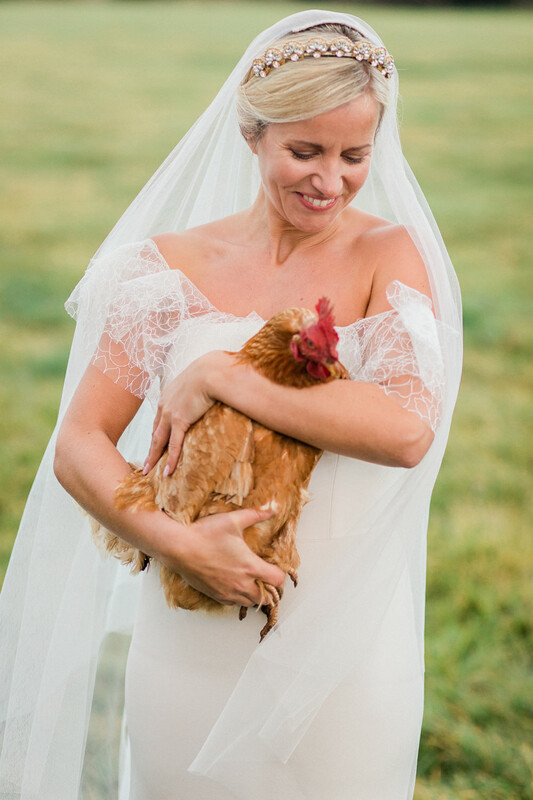 Oh and the glamorous bride snuggling a farmyard animal helped too! 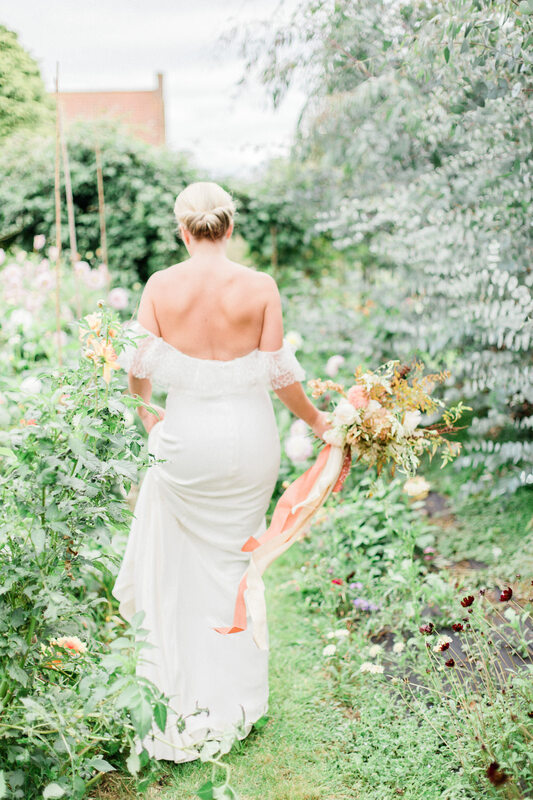 Photographing in the flower field, the farm and the barn allowed for a completely natural light shoot. 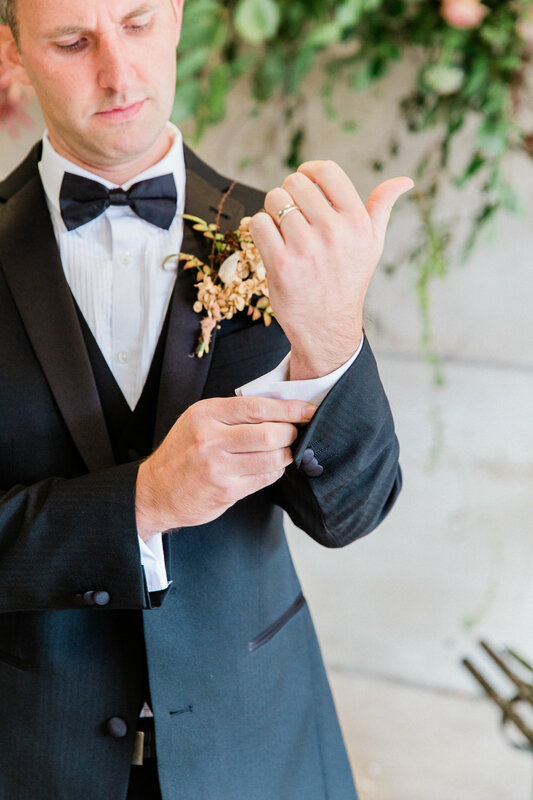 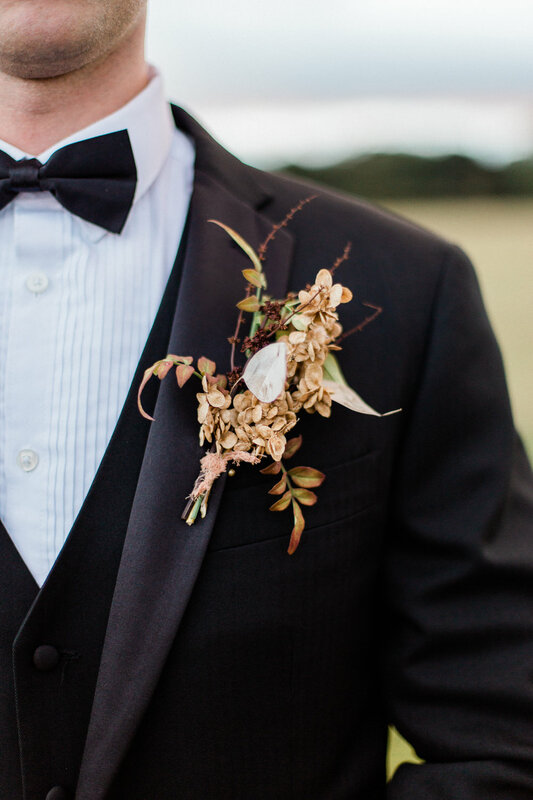 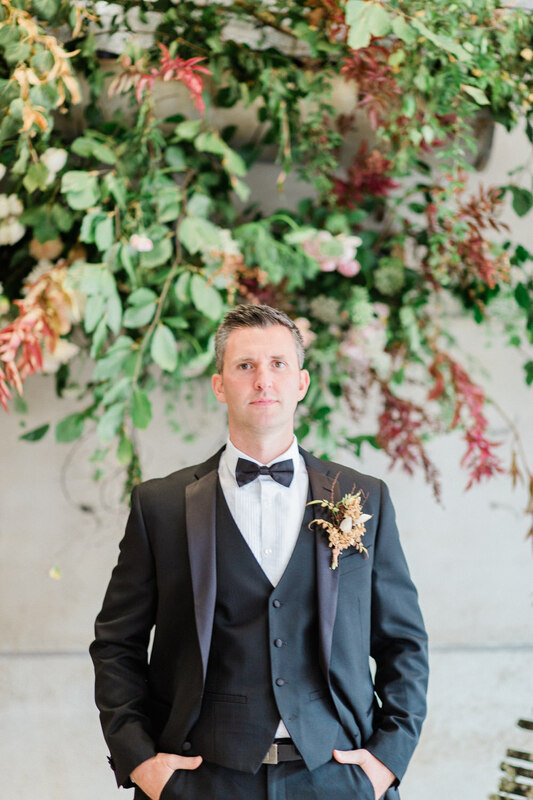 Mr B was our groom for the day and donning a black dinner suit and bow tie, he was the man of the moment. 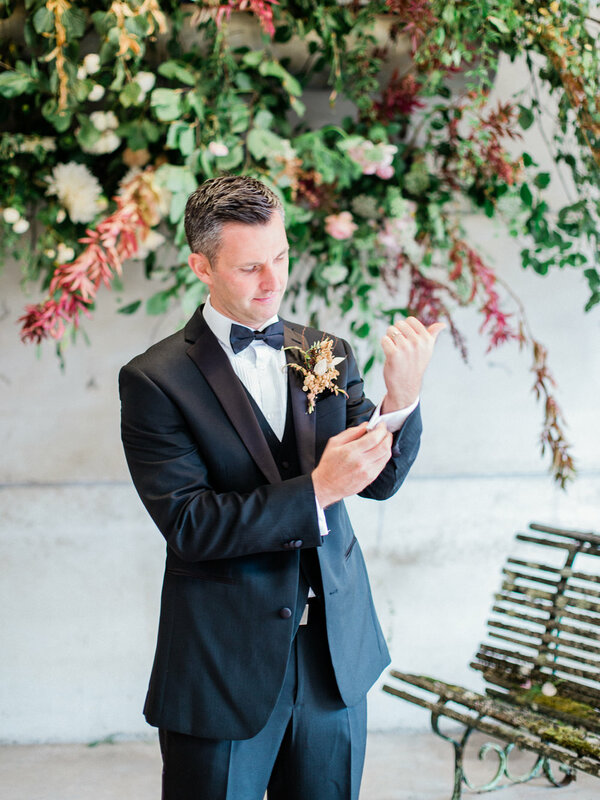 A cross between the Mr Darcy and the Yorkshire James Bond – could you seriously even get a more ‘swoon’ combination! 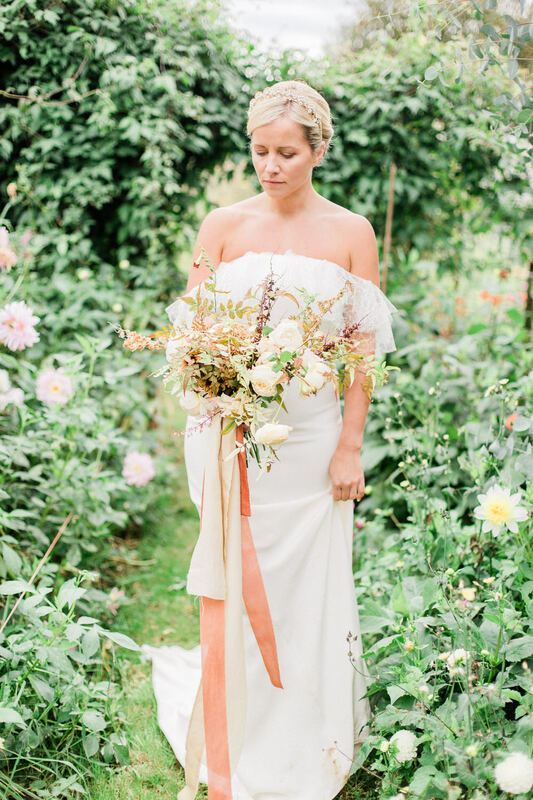 This look married together the farmyard glam element of the day absolutely. 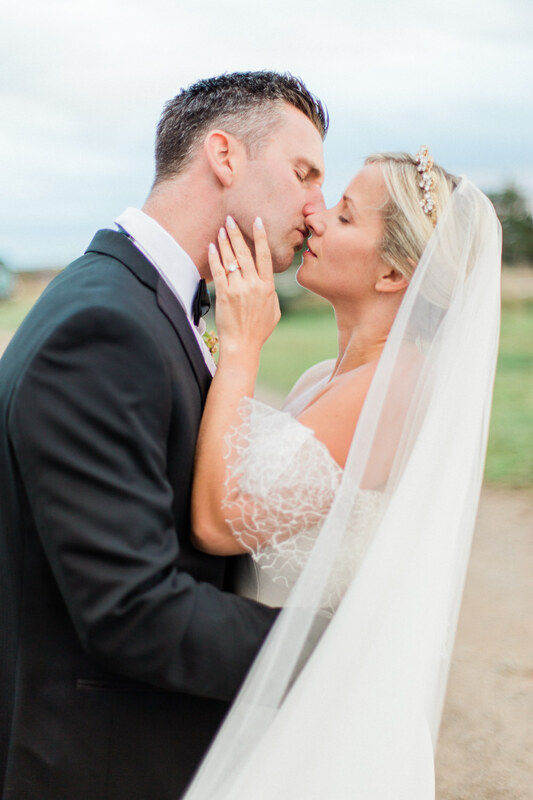 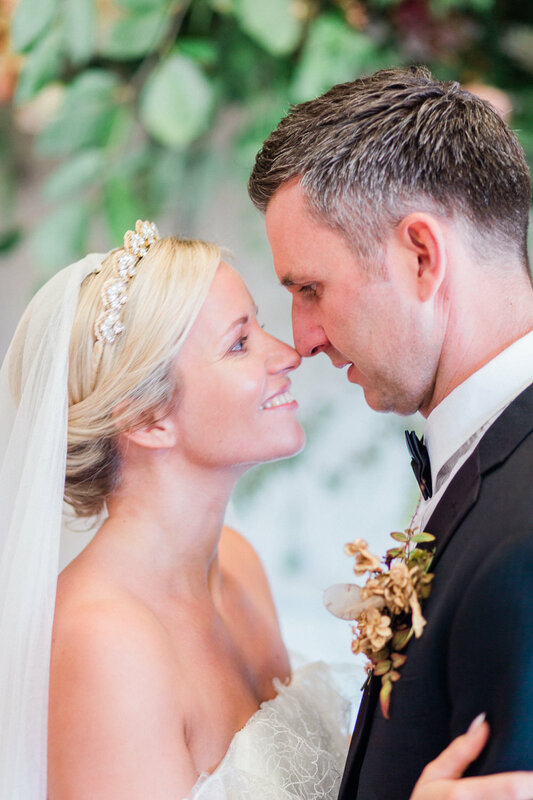 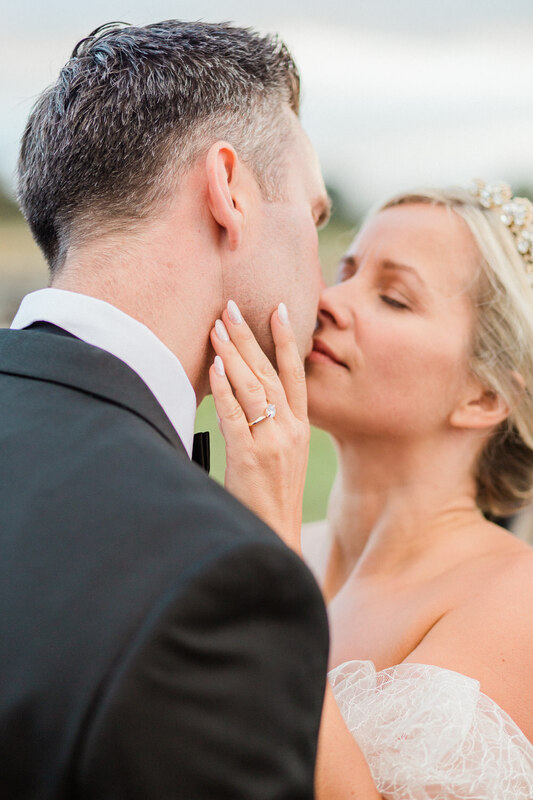 As contemporary fine art photographers, working together as a husband and wife team our favourite aspect of photographing weddings is capturing the raw emotion of the day; the stolen kisses, the delicate touches and the earnest, longing looks. 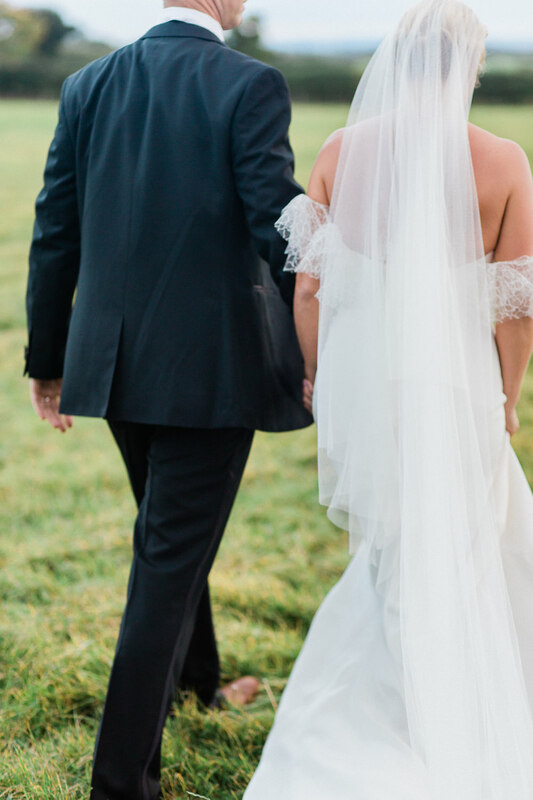 For us, being able to harness and then frame the feelings and mood of the wedding day is the real purpose of our photography. 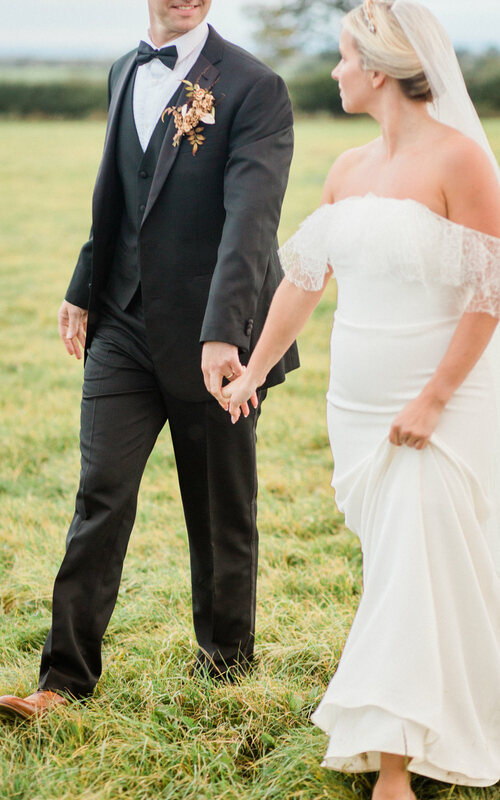 We wanted to explore the dynamic, electric connection between two people on the their wedding day. 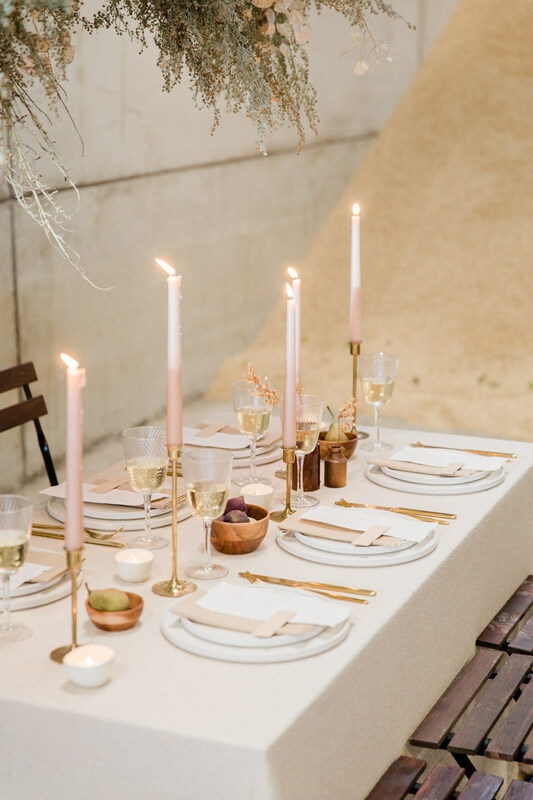 To achieve this, rather than a full tablescape and endless frames of beautiful ‘things’; we chose to focus on the interaction between the bride and groom. 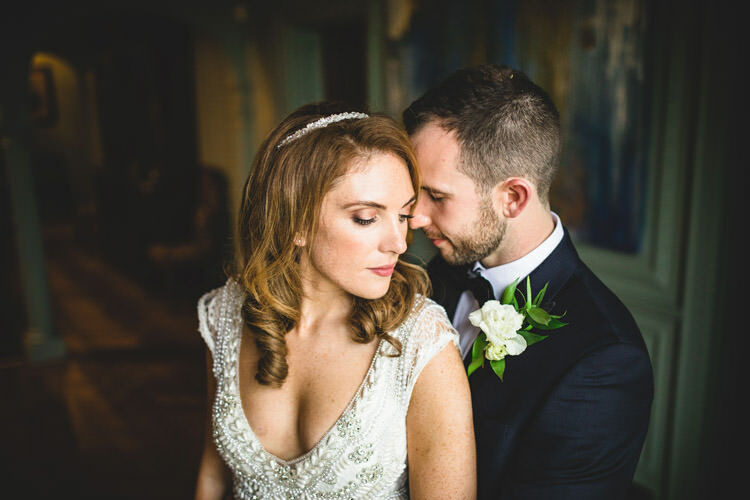 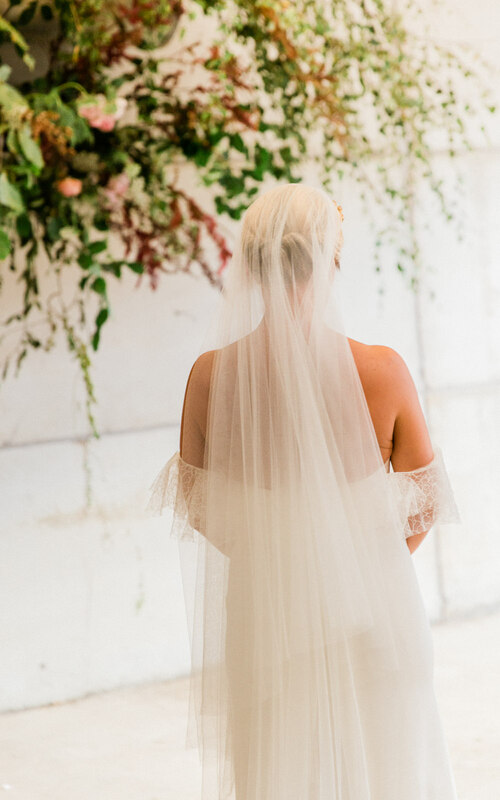 On the emotions – the calm reflection as she prepares for her wedding, the thoughtful and composed waiting groom, the exhilarating first kiss, and the blissful first few moments of the happy ever after. 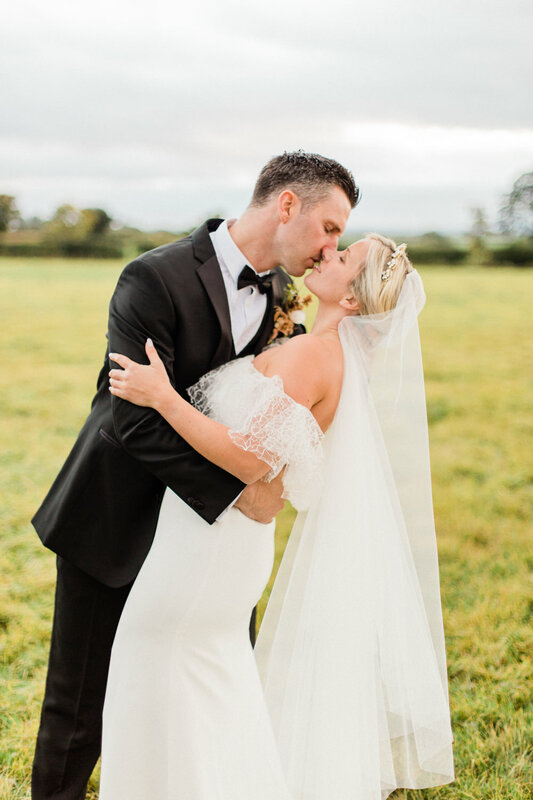 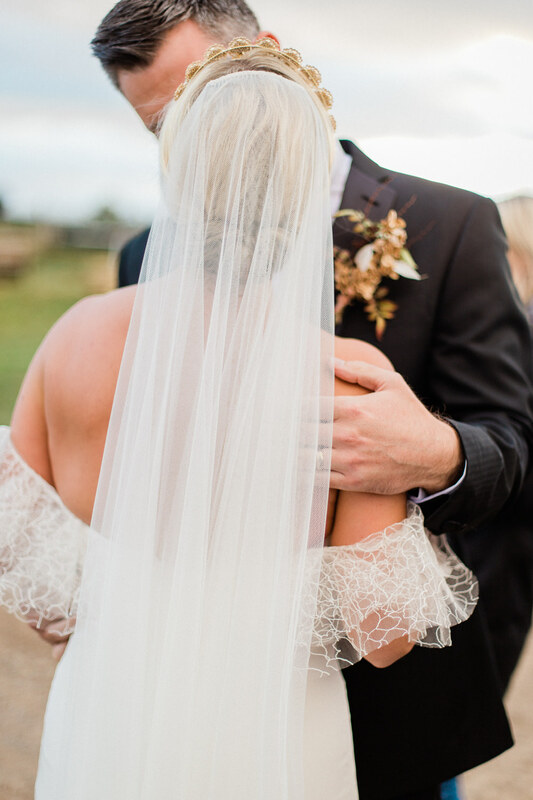 The bride, modelled the vintage inspired silhouette of the Vivienne gown by Cherry Williams London and stunning veil by Ages Hart. 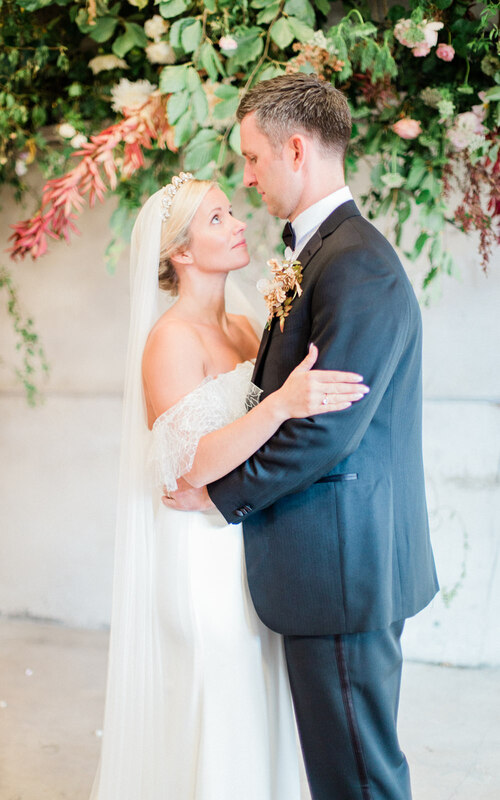 Paired with a subtly smoky brown eye with a classic bridal up-do by Victoria Farr Hair and Makeup. 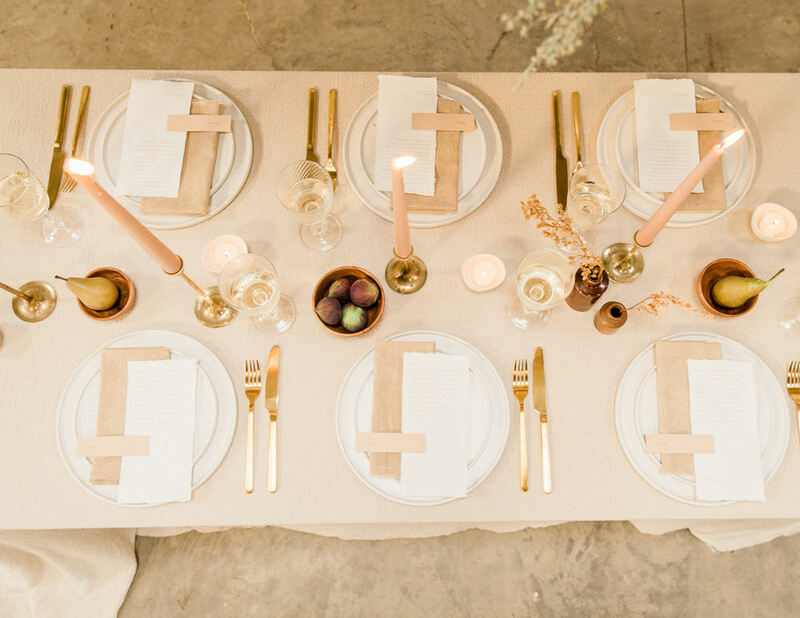 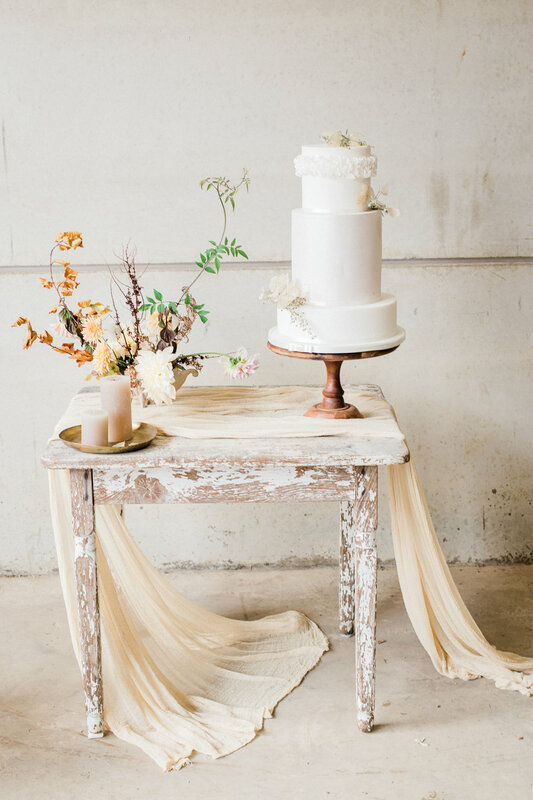 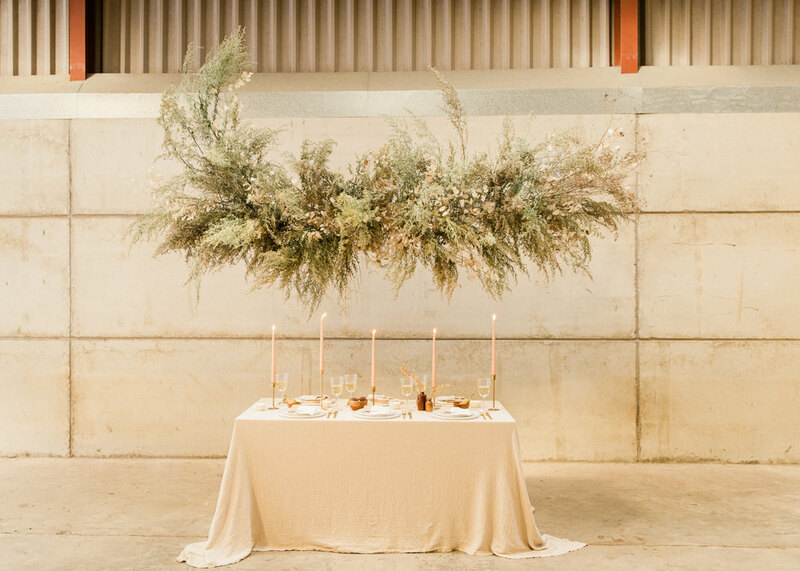 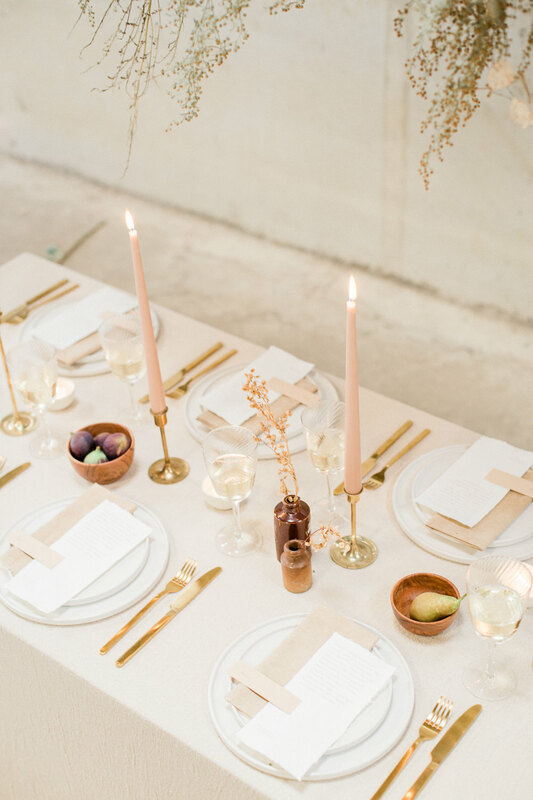 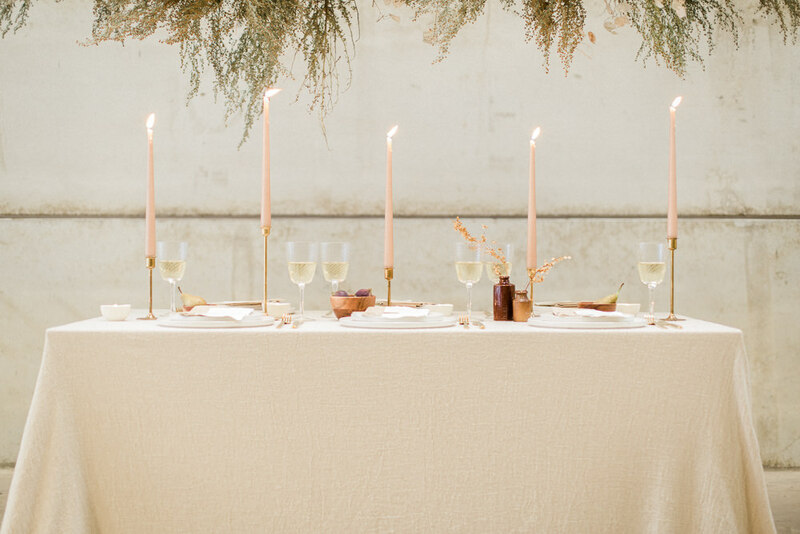 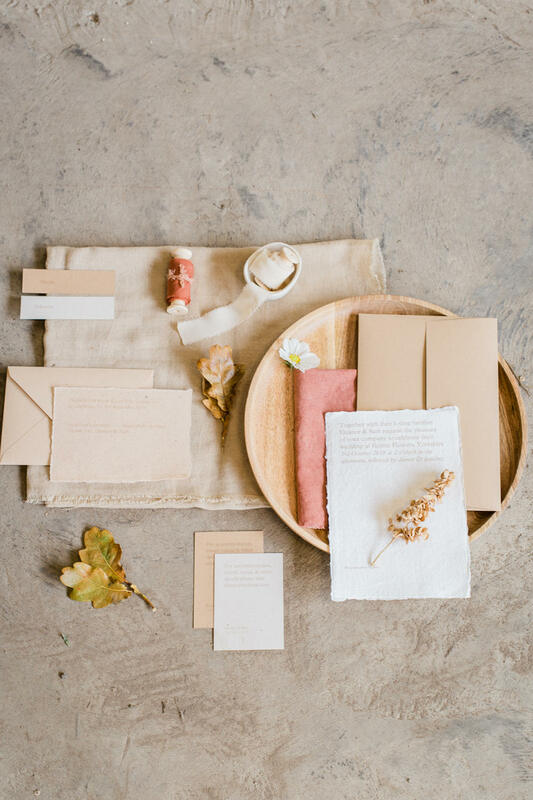 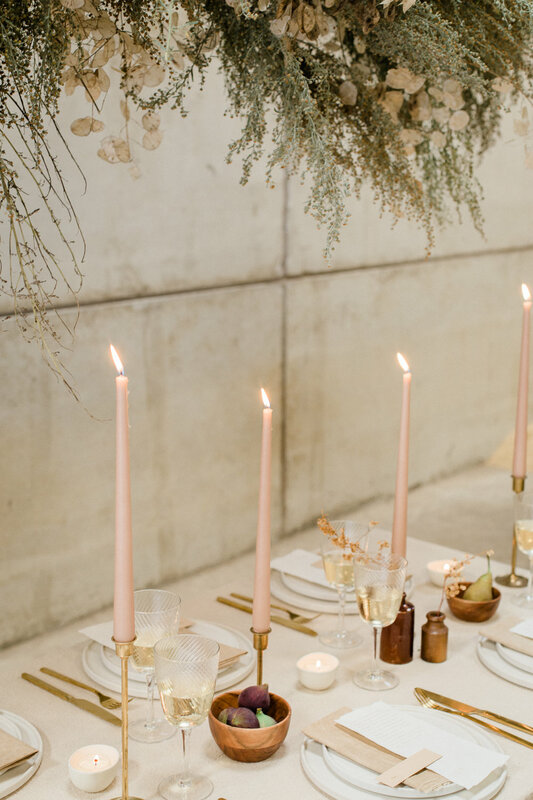 The stunning tablescape, styled by Louise of L27 Wedding, was achieved by pairing woods with gold, and was complemented beautifully by the linen and silks by The Natural Dye Works. 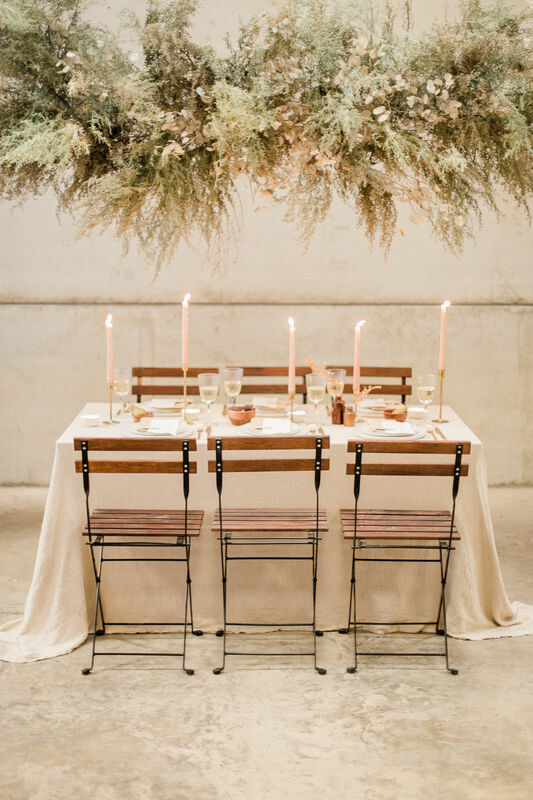 The wooden chairs accented the traditional farmyard setting. 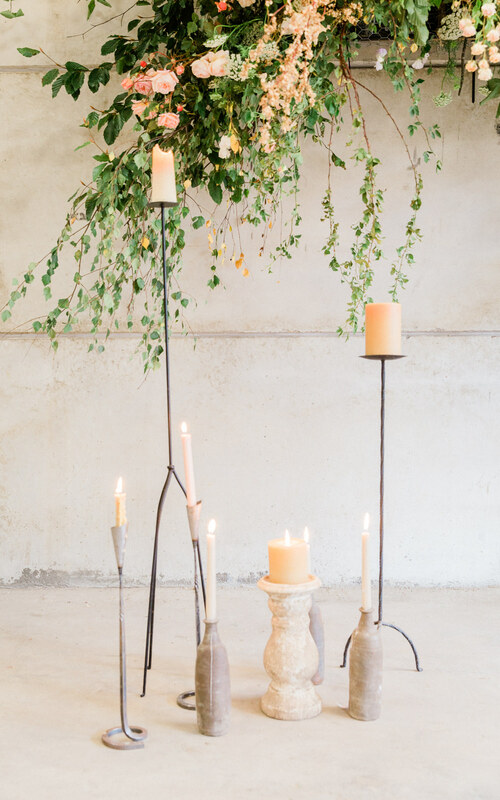 The floral pieces were large, dramatic, unstructured and very easily identifiable as Firenza Flowers masterpieces. 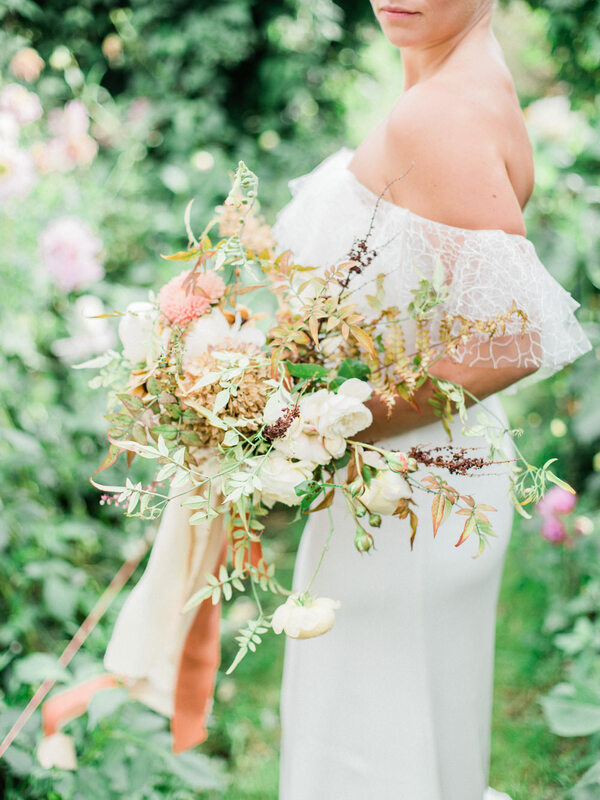 The wild flower bridal bouquet was rich with colour and texture brought together in an unstructured bouquet and tied with the prettiest swaths of fabric, almost like ribbons adorning a ponytail… I’m sure you’ll agree it’s the loveliest. 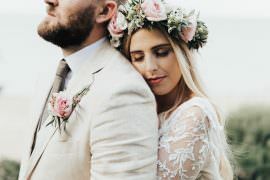 The selection of seasonal florals permit a range of blooms that match the flavour of the year – plus buying ‘in season’ flowers is a great option for the budget conscious bride.